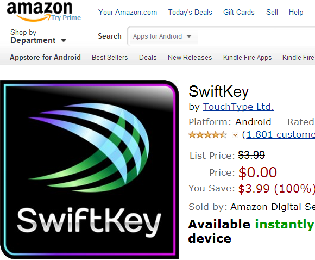 Right now Amazon has Swiftkey for free. This is the cloud version that will store all our prioritized keys in the cloud. This is one of the best Android keyboards and if you are a swiper or want to be one then get it. Watch the video and practice it for 10 mins. You’ll get used to it and begin to produce better text when you type/swipe.